Potatoes take the most time to cook, so if you want you may parboil potato slices or totally omit it. Wash all the vegetables, clean the skin off the potatoes. Slice finely. Grease a shallow dish with olive oil, arrange vegetable slices. Sprinkle with herbs, drizzle olive oil, and season generously. Cover loosely with foil. Cook in preheated 180C oven for 40 minutes. Remove foil, sprinkle some cheese if using and cook uncovered for further 20-35 minutes or until the vegetables are soft. Serve warm as is or as a side dish to meat. May4May 4, 2015 • By milkandbun • This entry was posted in Healthy choice, Vegetables and tagged cooking, Dubai food blogger, food, food blogger, food photo, food photography, food styling, foody, French cuisine, healthy cooking, healthy recipe, photography, photos, recipe, tian, vegetable tian, vegetarian. Bookmark the permalink. This sounds so simple yet flavorful! Thanks for the recipe! Awesome, I will definitely give this a try!! Beautiful recipe, as usual! :-))) Gorgeous, simple and healthy! Thank you! Have you tried it, Serena? Such beautiful presentation Mila – the colours in your Tian are wonderful! 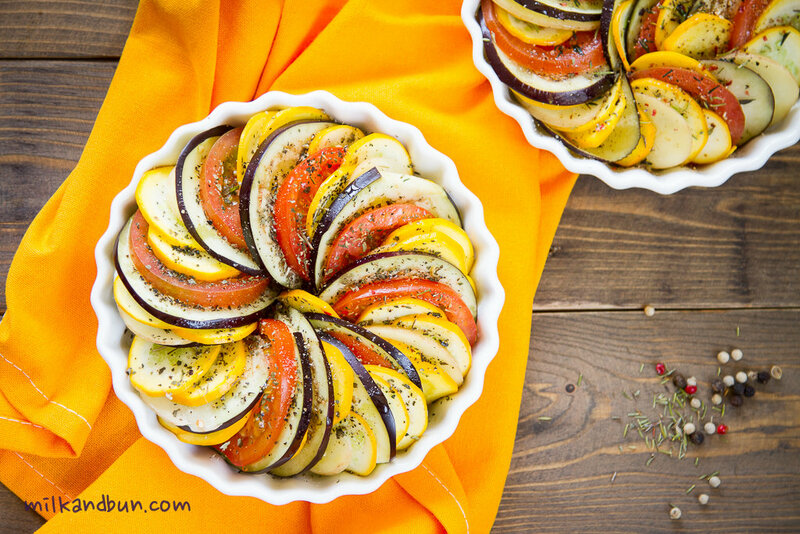 A great way of celebrating summer vegetables! This is just gorgeous! I’ve been thinking about trying one but now I’m convinced! This dish is like a little artwork! But one you can eat! I saw your recipe this morning and instantly knew what I want for lunch! It turned out so good that I think I am making it tomorrow again 🙂 Thanks for sharing! Glorious colours. I love it! Looks so beautiful and eye catching as you mentioned! The sprinkles on top and the colours make it look like an exotic dish. This is the best way to eat vegetables! Gorgeous. 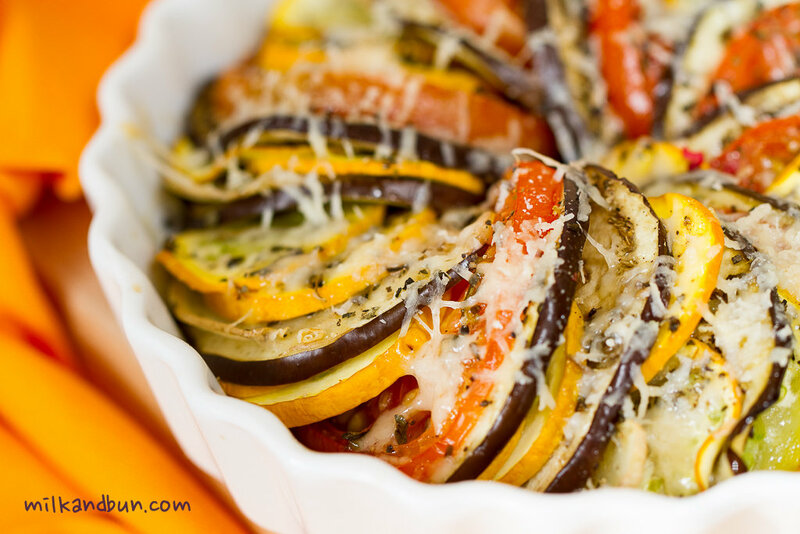 I made a vegetable tian once on the blog and just fell in love with it. Your presentation is gorgeous and when you use seasonal vegetables it tastes so fresh and delicious.